– Feb. 23. (Tues.) John Proulx. At a time when male jazz singers are in the minority, Proulx, a fine jazz pianist, is carving a vocal identity of his own. He performs with trumpeter Warren Luening, bassist Chuck Berghofer and drummer Joe LaBarbera. Catalina Bar & Grill (323) 466-2210. – Feb. 23. (Tues.) Guitar night. John Pisano with Howard Alden. This week Guitar Night features a swinging, straight ahead encounter between a pair of masters of the art. Vitello’s. (818) 769-0905. – Feb. 24. (Wed.) Alan Pasqua, Peter Erskine, Darek Oles. The hugely versatile, ever inventive pianist Pasqua takes a break from his academic responsibilities as head of the jazz program at U.S.C. for a rare club date. It doesn’t happen often, so don’t miss this get together with drummer Erskine and bassist Oles. Vitello’s. (818) 769-0905. – Feb. 25. (Thurs.) Teka and the New Bossa Trio. Santa Barbera-based, Brazil-born Teka brings her guitar and her contemporary versions of classic bossa nova to the Crown Plaza Brasserie Jazz Lounge. (310) 642-7500. – Feb. 26. (Fri.) Annie Selleck. 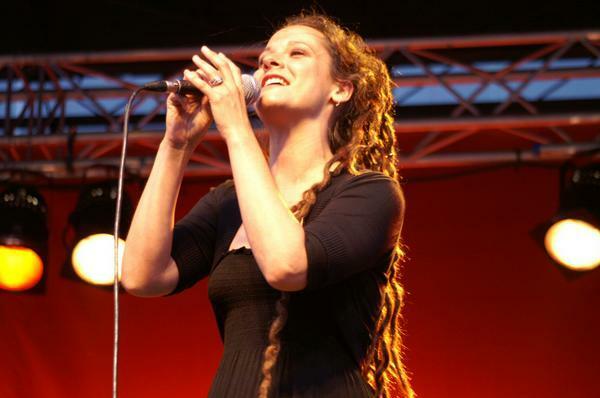 Vocalist Selleck is a little bit country, a little bit rock and a whole lot jazz. Jazz at the Radisson. (310) 649-1776. Also Feb. 27 (Sat.) at Steamers. (714) 871-8800 and Feb. 28. (Sun.) Spazio. (818) 728-8400. – Feb. 26. (Fri.) Tamir Hendelman Trio. Pianist Hendelman brings a new perception to his view of the piano trio while in the company of the articulate drumming of Lewis Nash and the extraordinary versatility of Italian bassist Marco Panascia. (They’ll also be recording a CD for Resonance Records this weekend.) Spazio. (818) 728-8400. – Feb. 26 & 27. (Fri. & Sat.) Jack Sheldon Orchestra. Sheldon always guarantees an evening of fine jazz trumpet, engaging vocals and irrepressible humor. But he’s even better when he does all that backed by the energy and drive of his big band. Catalina Bar & Grill (323) 466-2210. – Feb. 27. (Sat.) Don Menza. Tenor saxophonist, arranger and educator Menza’s resume reaches from Stan Kenton and Maynard Ferguson to Elvin Jones and Leonard Cohen, with all stops in between. Here’s a chance to hear his imaginative playing in the pleasant environs of Charlie O’s, backed by the John Heard Trio. Charlie O’s. (919) 994-3058. – Feb. 27. (Sat.) 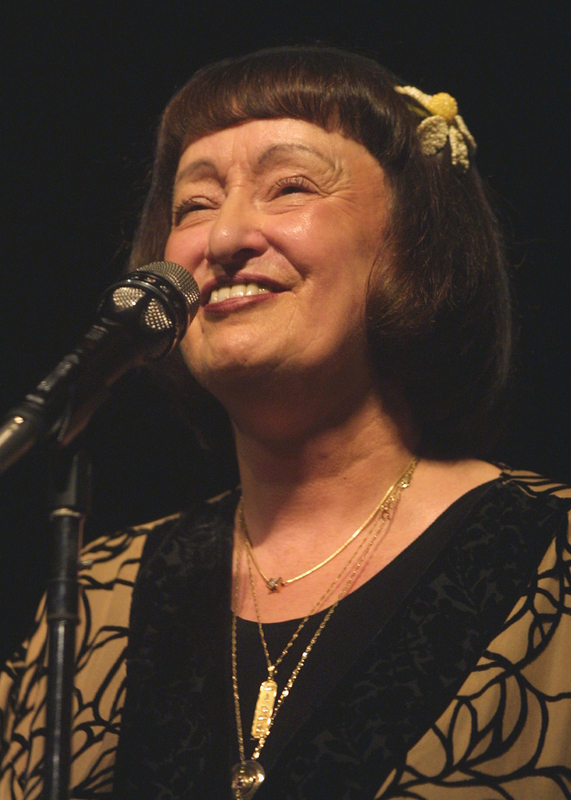 Sheila Jordan. There’s no jazz singer quite like Sheila Jordan. Charlie Parker, she says, was her inspiration. And he was. But the musicality she brings to every note she sings, her mesmerizing ability to find the inner story of a song, her irresistible rhythmic lift, are all her own, all the product of one of jazz vocal history’s most inimitable talents. She doesn’t come out to L.A. often, so don’t miss this opportunity. Vitello’s. (818) 769-0905. – Feb. 28. (Sun.) Vardan Ovsepian Duo. Armenian-born pianist Ovsepian – like Brad Mehldau and Uri Caine — has been seeking, and finding, linkages between jazz and classical music. Vibrato. (310) 474-9400. – Feb. 28. (Sun.) Mark Isham and Houston Street. Trumpeter Isham’s been so busy with film scoring (credits on over 50 films) that his intriguing instrumental work has been heard far too rarely. 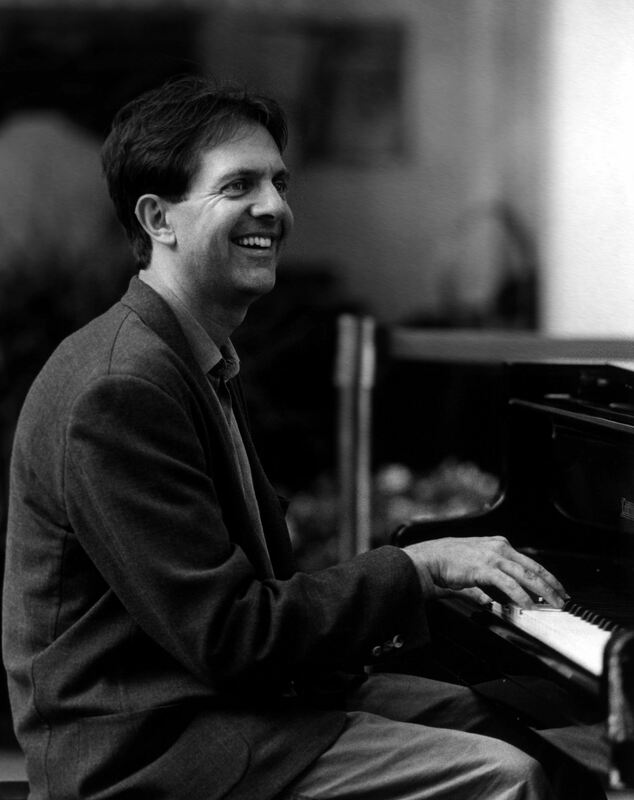 He performs here with his band Houston Street, featuring Jeff Babko, keyboards, Tom Brechtlein, percussion and Doug Lunn, bass. Catalina Bar & Grill (323) 466-2210. – Feb. 28. (Sun.) 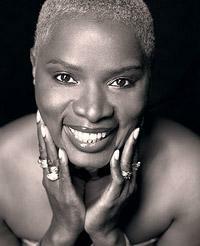 Angelique Kidjo. Benin’s pride brings everything she has to every performance. She finds common ground between traditional music and international pop without losing the best qualities of either. And she does so with a dynamism that lights up the stage the moment she appears. Disney Hall. (323) 850-2000. – Feb. 28. (Sun.) Earthworm Ensemble. Folk, rock, New Orleans and funk, performed for kids and parents by L.A. folk and roots musicians in songs about earthworms, trains, birds and a superhero team of Bear and Dog. The group celebrates the release of their new CD, appropriately titled Earthworm Ensemble. McCabes. (310) 828-4497. – Feb. 24 – 28. (Wed. – Sun.) 2010 Portland Jazz Festival The major jazz festival season kicks off with the weather-defying Portland Jazz Festival. The internationalist theme of this year’s event will be underscored in a Friday panel discussion titled Is Jazz Dead (Or Has It Moved To A New Address)? 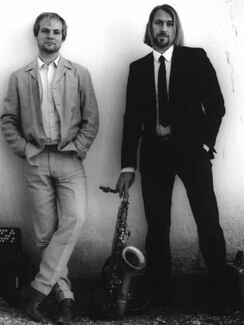 as well as by the presence of world class Norwegian jazz artists — pianist Christian Wallumrad, saxophonist Trygve Seim and accordionist Frode Haltli. Other headliners include Dave Douglas and Brass Ecstasy, the Dave Holland Quintet, Luciana Souza, the Mingus Big Band, Pharoah Sanders. the jazz rock piano trio In the Country, and several dozen jazz groups from the Northwest and beyond. Events take place at the Crystal Ballroom, the Portland Center for the Performing Arts, the Newmark Theatre, the Hilton Hotel and Norse Hall. Free programs are also offered at various locations around Portland. The 2010 Portland Jazz Festival. (503) 228-5299. – Feb. 23. (Tues.) Vusi Mahlasela. 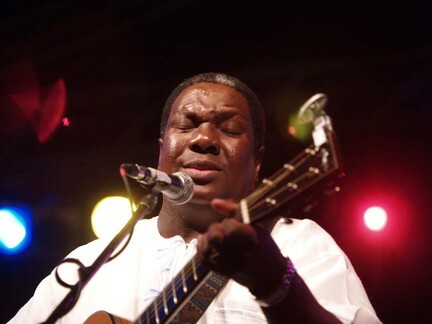 The voice of the South African revolution in the ‘80s, Mahlasela has since become known as “The Voice,” for the uniquely appealing timbres of his voice, combined with his ability to blend seemingly unlikely traditional and contemporary sounds. Yoshi’s Oakland. (510) 238-9200. – Feb. 23 & 24. (Tues. & Wed.) Jimmy Scott & The Jazz Expressions. Scott’s high, soaring head tones and his glacial ballad tempos have made him one of jazz’s most idiosyncratic, but immensely appealing vocalists. Yoshi’s San Francisco. (415) 655-5600. – Feb. 25 – 27. (Thurs. – Sat.) David Sanborn with special guest Joey DeFrancesco. Blues to the utmost when these two masters of the form get together, with Sanborn’s vocal-like high harmonics bouncing off DeFrancesco’s rumbling, propulsive B-3 organ rhythms. Yoshi’s Oakland. (510) 238-9200. – Feb. 23 – 28. (Tues. – Sun.) 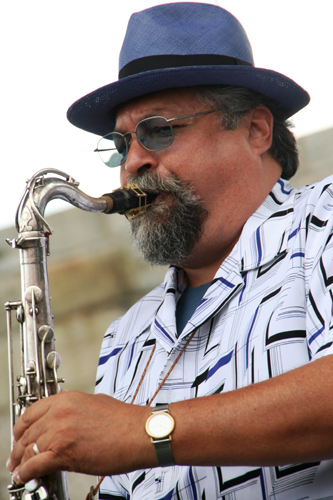 Joe Lovano. Lovano celebrates Village Vanguard’s 75th Anniversary Week with a performance by his Us Five ensemble, a band that takes post-bop beyond the avant-garde and well into the 21st century. Bassist/singer Esperanza Spaulding is a featured guest. Village Vanguard. (212) 255-4037. – Feb. 23 – 28. (Tues. – Sun.) Bill Frisell, Ron Carter and Paul Motian. A trio of veteran jazz artists, each of whom has moved through every imaginable area of musical expression. The question will be where they find common ground. And the answer will no doubt provide some compelling music. The Blue Note. (212) 475-8592. – Feb. 23 – 28. (Tues. – Sun.) Christian McBride Big Band. The ever versatile bassist/composer moves into the large ensemble territory he began to explore with his remarkable concert work, “The Movement Revisited.” And these big band charts will no doubt offer further affirmation of his ability to expand his talent into every imaginable jazz genre. http://jalc.org (212) 258-9800. – Feb. 24 – 27. (Wed. – Sat.) Lou Donaldson Organ Quartet. Still going strong, still finding the funk in the organ quartet format, Donaldson’s bebop-driven alto playing should be required listening for every young player who takes on the instrument. Birdland. (212) 581-3080. – Feb. 25 – 28. (Thurs. – Sun.) Lionel Loueke, Massimo Biolcati and Ferenc Nemeth. 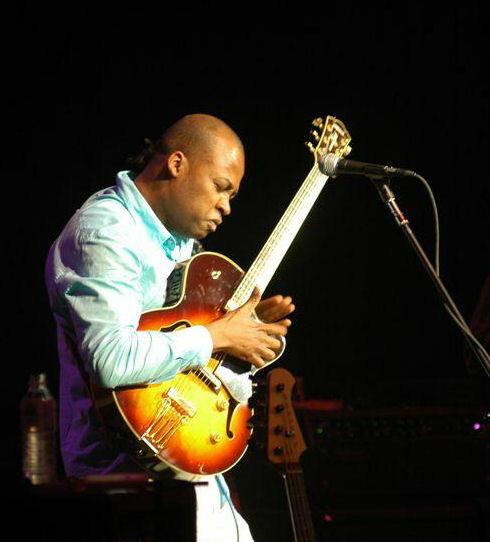 The combination of Benin’s guitarist/singer Loueke, bassist Biolcati (born in Sweden, raised in Sweden and Italy), and Hungarian drummer Nemeth, provide solid musical evidence of the emergence of the 21st century as the era of international jazz. Jazz Standard. (212) 576-2232. – Feb. 25 – 28. (Thurs. – Sun.) The SFJAZZ Collective. With the establishment of the SFJAZZ Collective, San Francisco now has a resident jazz ensemble as important to, and representative of the Bay area as the Jazz at Lincoln Center Orchestra is to New York City. The current ensemble includes Mark Turner (tenor saxophonist), Miguel Zenon (alto saxophone/flute), Avishai Cohen (trumpet), Robin Eubanks (trombone), Stefon Harris (vibes/marimba), Edward Simon (piano), Matt Penman (bass) and Eric Harland (drums). Jazz Alley. (206) 441-9729. I’ve been playing the late set at Dizzy’s following Christian McBride’s big band and I can tell you that the band is smoking. Not only is McBride an incredible player, he is also a great writer, and a very engaging personality.